As this is our first post we should probably start by telling you a little about ourselves. Firstly our names are Sophie and Isobel Grove and we have a passion for makeup and beauty products. As our collection of products has started to grow we’ve decided to start sharing our views and opinions, with an aim to help you when choosing your own products. 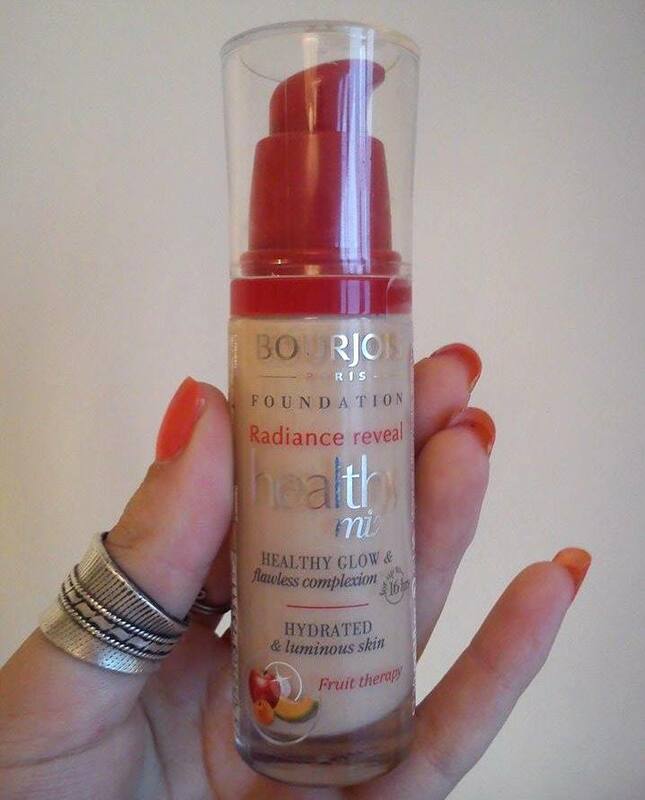 Recently I took a trip to Boots in search of a new foundation that gave a ‘dewy’ finish. Originally I was persuaded to buy either Rimmel Wake Me Up Foundation or Loreal Lumi Magique Foundation after watching several (too many) reviews on both products and was convinced these would give me the best results. Before going to the till with the Loreal Lumi I decided to look in the boots clearance. That’s when I found two Healthy Mix foundations for £2 each as they had been ‘opened’. I decided to buy both of these instead as they were my colour and were saving me a lot of money for a lot more foundation. When I first tried this foundation I was pleasantly surprised with the texture as I was very much expecting a runny consistency, as many illuminating foundations are, but this was much thicker and creamy which made an easier application and blending process. I immediately noticed how good the coverage was considering hearing that this was a light to medium coverage foundation. I would say that this was more of a medium but buildable coverage, which for me was a huge plus. As for the finish of Healthy Mix foundation I was surprised at how flawless this made my skin look after applying a tiny amount of concealer to my most noticeable blemishes, although it did cover my redness and scarring. It definitely lives up to the ‘Healthy Glow & Flawless Complexion’ stated on the bottle. I would suggest using a loose powder to set this foundation to maintain the ‘dewy’ look. This foundation lasted a good 6 hours on my skin before I noticed some movement which needed to be touched up. Overall, this foundation is amazing for people with dry or normal skin but I wouldn’t suggest this to people with oily skin. If anyone knows any foundations similar to Healthy Mix let me know in the comments below.